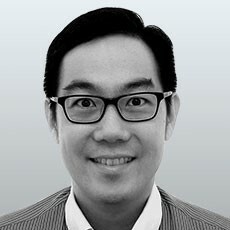 Dr. Lim is the Director of Research for Exercise is Medicine, Singapore. He graduated in 2003 from the National University of Singapore. He obtained his Master of Sports Medicine in 2009 and Master of Medicine (Family Medicine) in 2012 and is dually accredited as a sports medicine physician by the Singapore Specialist Accreditation Board, and as a family physician by the Singapore Family Physician Board. He was the Chief Medical Officer for the World University Floorball Championships in 2014 and on the medical team for the SEA Games and the ASEAN Paragames in 2015. Dr Lim was the Chief Team Physician for Singapore in the Rio de Janeiro Summer Paralympics and in 2017 he served as a team physician for Singapore at the 29th SEA Games in Kuala Lumpur, Malaysia. He also has a special interest in the musculoskeletal injuries of musicians and performing artists.